Since CHTNA is the umbrella organization of Hindu Temples in North America, we would like to UNITE all the temples under a common banner and we would like CHTNA to be the official representative of all the Hindu Temples in North America – to speak on subjects and concerns affecting Hindu Religion and culture. We have our annual meeting (member and potential member temples) in April / May time frame hosted by one of our member temples at their location. We have periodic conference calls among the board as well as our members towards planning and follow-up on activities benefiting the member temples. (Monthly Meetings/Conference Calls for Board of Directors and Quarterly General Body Meeting/Conference Calls). We prepare / maintain Directory of all Hindu temples in our coverage region with membership status. We publish our periodic Newsletter titled “Aalaya Vaani” mailed to our members. (Recent issues are also available in PDF format on site). CHTNA for the first time in 1997 published a book titled “A Pilgrimage of Hindu Temples in North America” edited and published by Dr. Hanuma Das of Ramalaya Temple, Chicago, IL. 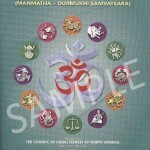 We also prepare and publish Panchangam (almanac) as per US time for use by all US temples and their devotees. Started issuing that in 1998.
o Involvement of Youth for continuity. We recognize and honor individuals who excel in humanitarian and other religious services. 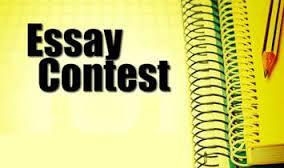 Also we conduct essay competition for students at different levels almost every year and issue prizes for winning essays to promote knowledge in Hinduism concepts.